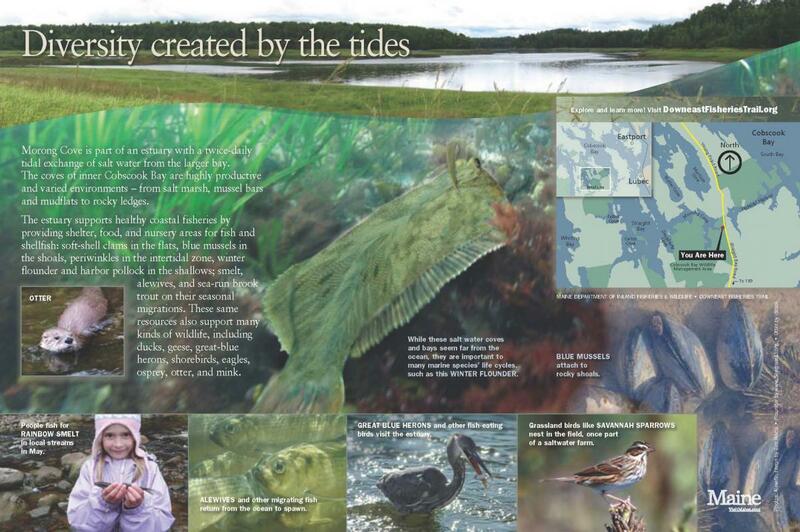 As part of the Downeast Fisheries Trail, Maine Sea Grant worked with several partners to produce five interpretive panels for installation at Trail sites in 2012. 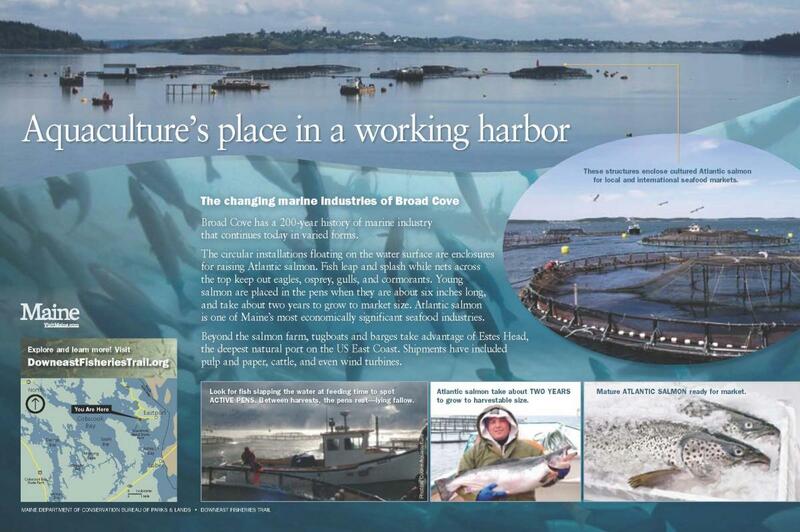 Aquaculture's place in a working harbor, Shackford Head State Park (Montgomery Designs and Maine Bureau of Parks and Lands). 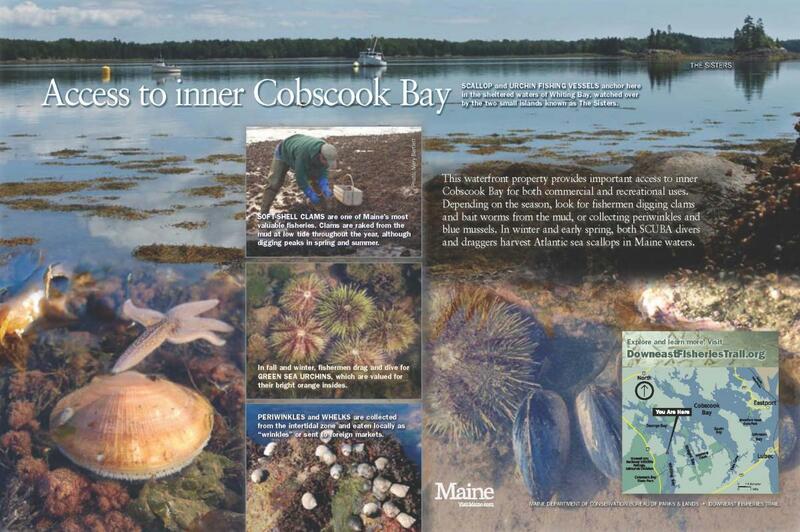 Access to inner Cobscook Bay, Cobscook Bay State Park (Montgomery Designs and Maine Bureau of Parks and Lands). Diversity created by the tides, Morong Cove (Montgomery Designs and Maine Department of Inland Fisheries & Wildlife). 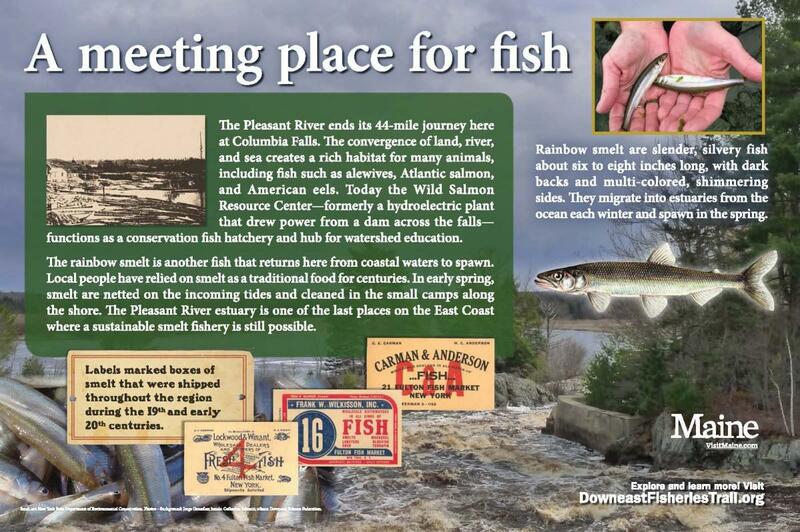 A meeting place for fish, Wild Salmon Resource Center (Downeast Salmon Federation). 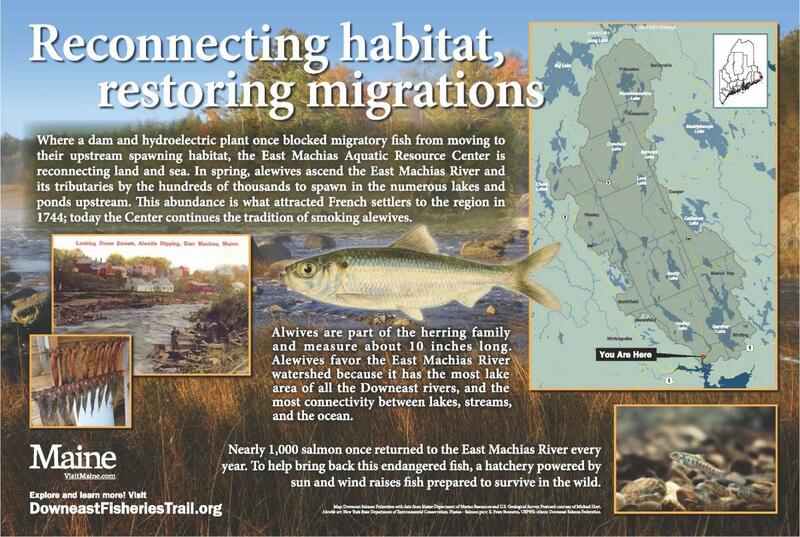 Reconnecting habitat, restoring migrations, East Machias Aquatic Resource Center (Downeast Salmon Federation). For more information, view our two-page fact sheet (PDF 267 K). 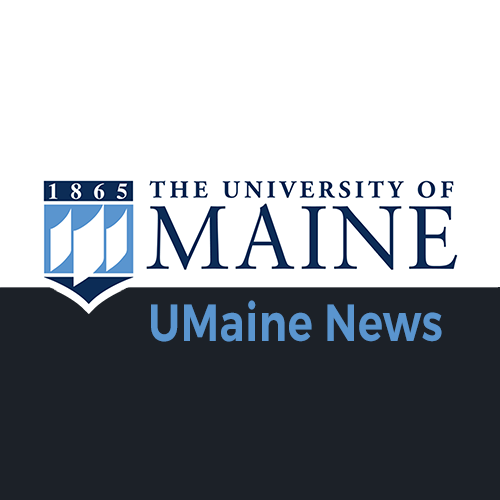 To learn more about the project or get involved, contact Natalie Springuel, Maine Sea Grant (288-2944 ext 5834) or view the Downeast Fisheries Trail website.